Compliments of the season! We trust 2016 has been a successful and productive year for your company. All of us at DU opensource wish your company Merry Christmas and a Prosperous 2017. 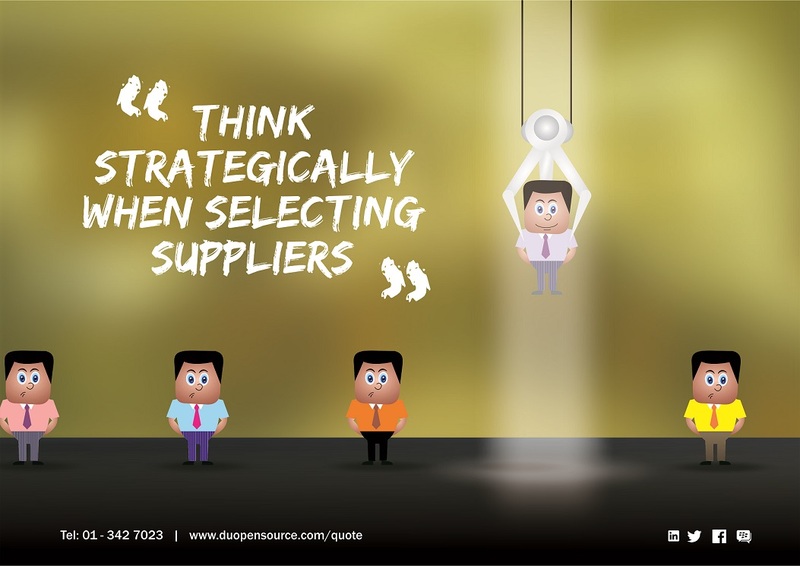 Choosing the right supplier involves much more than scanning a series of price lists. Your choice will depend on a wide range of factors such as value for money, experience, quality, reliability and service delivery. How you weigh up the importance of these different factors will be based on your business’ priorities and strategy. The most effective suppliers are those who offer products or services that match – or exceed – the needs of your business. So when you are looking for suppliers, it’s best to be sure of your business needs and what you want to achieve by buying, rather than simply paying for what suppliers want to sell you. In outdoor advertising industry, advertisers or media independent agencies care about service delivery. In Nigeria, it is a common knowledge that 60% campaigns are delivered behind schedules. Outdoor advertising agencies work mostly under pressure with short deadlines to deliver campaigns with proof of posting. Without adequate manpower and logistics, an outdoor media agency will find it difficult to deliver campaign with or without deadlines. The operations team must be experienced, knowledgeable in outdoor business and proactive. Admitted that sometimes delays may be a third party issue but that’s not an excuse for your client. That’s reporting your weakness and incompetence. The operation unit have to be staffed with the right and knowledgeable field operatives with the right working tools to get the job done and delivered ahead of deadlines. Jobs delivered ahead of schedules within prescribed specifications helps boost organisation’s image, reputation and a possibility for repeat buy. Monitoring and proof of performance are essential aspects of outdoor advertising business. Media Independent agencies insists on a specific standard for photo updates from OOH media agencies. Again, adequate manpower plays an important role in site monitoring, collation and submission of pictures updates since they are done manually. The peace of mind of knowing you are working with a reliable supplier relief your client the anxiety and headache associated with disappointments. Clients loves to work with reliable media partners or suppliers with a proof of track records of past projects. A recommendation letter from your old clients isn’t a bad idea. It will clear the doubts your clients might have about your capability. The quality of service delivery needs to be consistent and continually improved. The memory of a poor and bad workman is very difficult to erase. As an entrepreneur, always insist on quality service delivery. Clients associate poor quality of service with the head or owner of the company. That could mean the end of a business relationship with your client. The lowest price is not always the best value for money. If you want quality service, prompt delivery and a touch of excellence from your suppliers, you’ll have to decide how much you’re willing to pay and pay at the agreed time. Honour your contract payment terms promptly. If payment is uncertain on the agreed date communicate to your supplier promptly so he can plan. Supplier has fixed and unfixed financial obligations and overhead costs running simultaneously. They deal with vendors too and some vendors’ services or products are cash and carry. When a client fails to pay at the agreed time the effect spread across business operations and most times delays delivery. It’s not enough to dish out a check-list of a must accomplish in your contract papers. It difficult to expect quality and timely service without prompt payment. Some customers aren’t worth the headache! They push suppliers to do more for less and sometimes without prepayment. Once a supplier says yes, he’s locked himself into a downward spiral. It’s always worth making sure your supplier has sufficiently strong cash flow to deliver what you want, when you need it. A credit check will help reassure you that they won’t go out of business when you need them most. For further enquiries, please call 01-342 7023, 0803 916 3770, 0808 559 7663, 0802 832 5833, 0803 413 9103 or click on button to send us a message or have us call you.